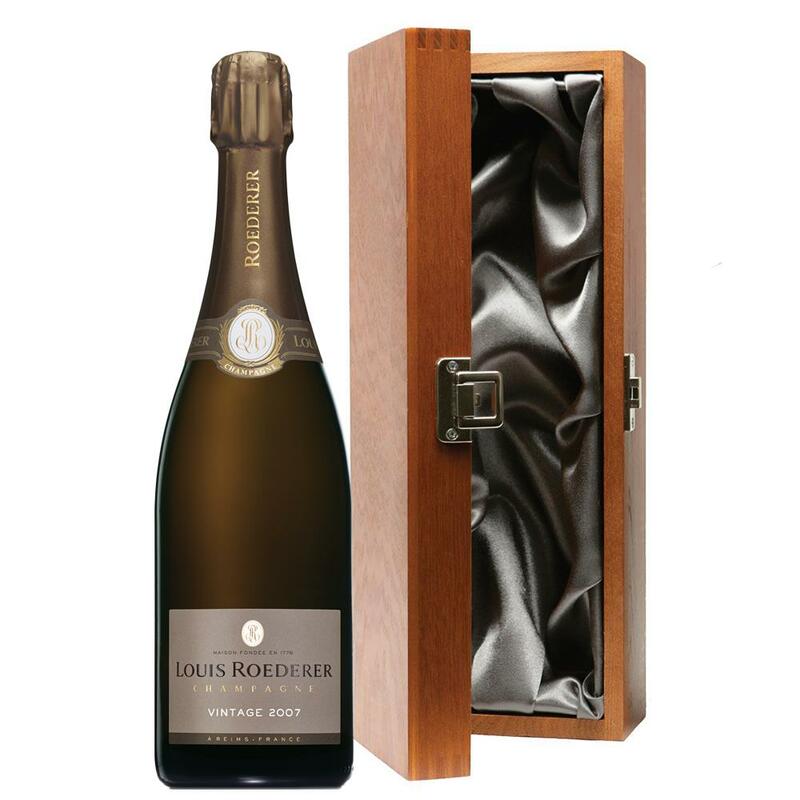 Luxury added to your bottle of Louis Roederer Brut Vintage 2012 75cl - Louis Roederer Vintage Champagne Gift with the alluring wooden case with hinged lid. The case is made from wood, which is beautifully complemented with stainless steel hinges and clasp. This case adds the ultimate luxury to any gift and is delicately lined with silver satin. Louis Roederer Brut Vntage 2009 Every Brut Vintage is blended exclusively from the wines of an exceptional harvest and has the mark of the particular vintage from which it is produced. Rich full-bodied and opulent this is a wine to enjoy with food. For those who enjoy a more complex style of wine it will tolerate several years’ cellaring. 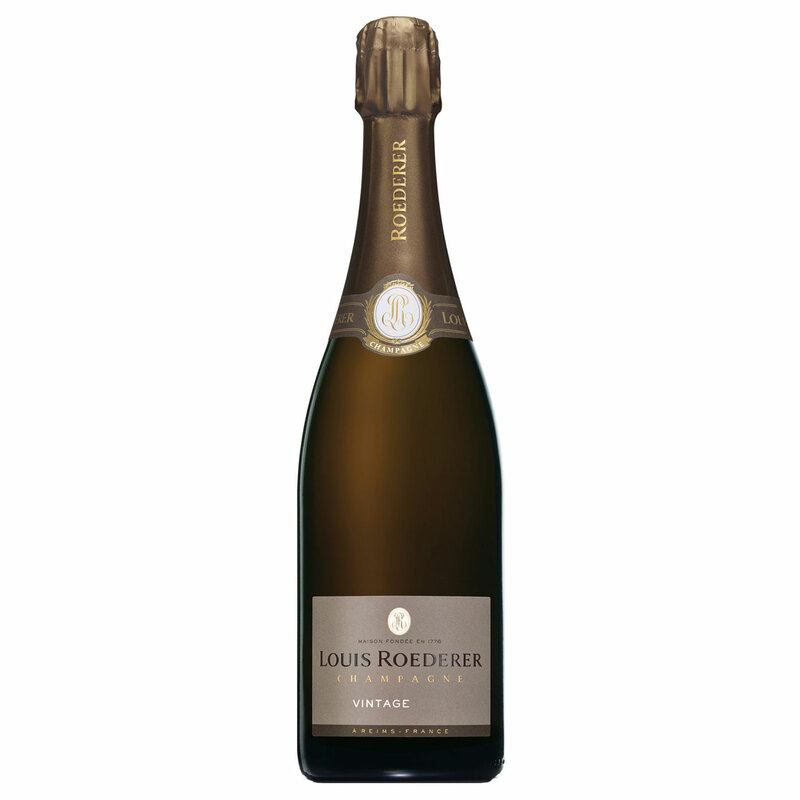 Sending a bottle Louis Roederer Champagne makes any gift VERY special.